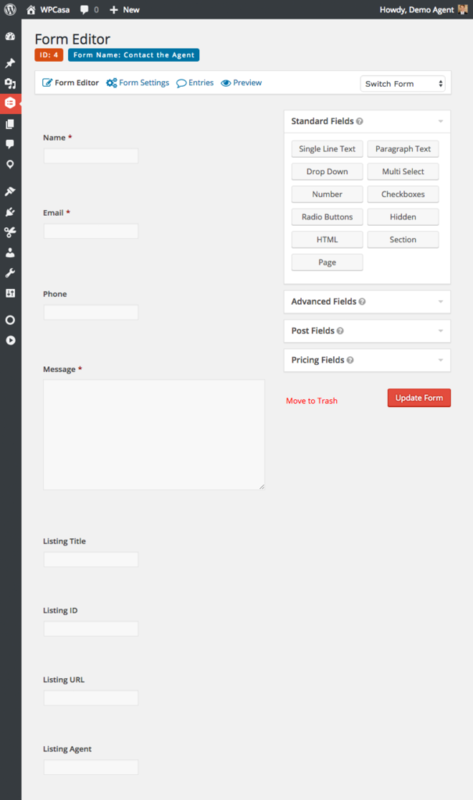 Gravity forms is a premium conditional logic form we use on some of our websites upon client request. So if you require a robust form functionality on your website, let us know and we can set it up for you. Has a setup fee & yearly license fees. Visit gravityforms.com for more information. When you log into the WordPress dashboard you will see “Form” on left. Click on “Edit”. Here you can click on any of the fields to edit them, duplicate them, swap them around or add more fields.